Our year end show is happening Saturday and Sunday June 9 and 10, 2018, at the Raven’s Cry Theatre in Sechelt. 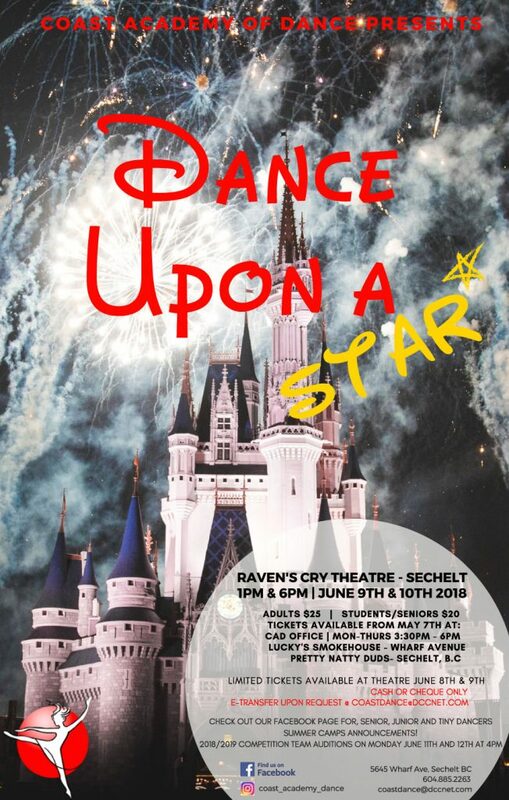 This year’s theme is “Dance Upon A Star” (Disney). Come see our amazing talented dancers of the Sunshine Coast! Posted on May 30, 2018 by Tara Doyle.